A mystical and compelling xianxia drama that has indeed done the original novel justice. Throughout the course of this drama, it will take you on a journey that is both heart-warming and heartbreaking, thanks to its amazing cast, breathtaking cinematography and fantastic decisions made post-production. Such components make Three Lives Three Worlds, Ten Miles of Peach Blossoms possibly one of the best C-dramas in recent years. Hello everyone and welcome back! 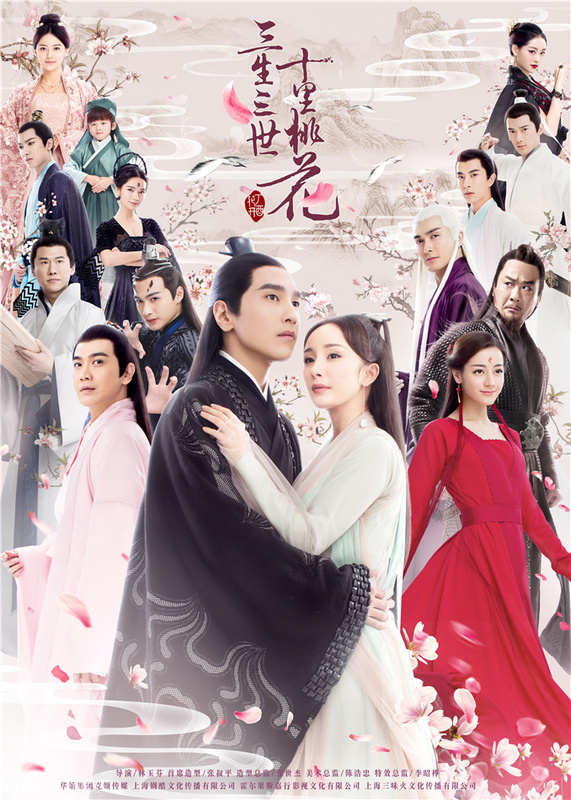 Today I am super excited to share with you my thoughts on this amazing C-drama Three Lives Three Worlds, Ten Miles of Peach Blossoms which I had finished a while back. I do hope that once this drama is released with complete subtitles, that it will gain even more popularity amongst Asian drama fans, because this is indeed an example of what Chinese dramas are capable of. I will admit, I’ve been quite reluctant to write this review since I am exhibiting severe withdrawal symptoms, but it is indeed about time I shared my thoughts on this beauty I came across by accident. Categories: Cdramas | Tags: bai qian, c-drama, cdrama, chinese drama, 照哥, 白凤九, 白浅, 离镜, 素素, Eternal Love, 赵又廷, mark chao, mo yan, shifu, si yin, su su, Ten Miles of Peach Blossoms, Three Lives Three Worlds, xianxia, yang mi, ye hua, zhao ge, 凉凉, 司音, 墨渊, 夜华, 杨幂, 桃花债, 浅浅, 三生三世十里桃花, 东华 | Permalink. Click to follow Asia Reviewer Maniac. Let's share our craziness together! © Yami Hyunnie/Helen W and Asia Reviewer Maniac, 2012-2018. Unauthorised use and/or duplication of this material without express and written permission from this site’s owner/author is strictly prohibited. Excerpts and links may be used, provided that full and clear credit is given to Yami Hyunnie and Asia Reviewer Maniac with appropriate and specific direction to the original content. “A Korean Odyssey” Current Trek: Should I continue this or not? I’ve been nominated for a Sunshine Award!